Professor Emeritus of Physics C. Peter Flynn, 76, died on Thursday, October 27, 2011, at Carle Foundation Hospital, Urbana. Born August 18, 1935, in Stockton-on-Tees, Yorkshire, Flynn was the first of his family to pursue higher education. He graduated from Malton Grammar School in 1953 and was admitted to Leeds University, where he obtained a bachelor’s degree (1st Hons.) in physics in 1957 and a doctorate in physics in 1960. He was subsequently awarded an honorary master’s degree in physics from the University of Cambridge (1966). Flynn was a fellow of both the American Physical Society and the American Society of Metals, and a Fellow of Christ’s College, Cambridge (1966â€“67). He made his first trip outside of England in 1960 to accept a postdoctoral research position at Physics Illinois. He was appointed a research assistant professor in 1962 and an assistant professor of physics in 1963. 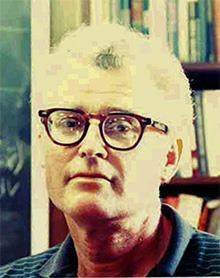 He was promoted to associate professor in 1965 and to professor of physics in 1968. He was the director of the Materials Research Laboratory (MRL) at Illinois from 1978 through 1987. He retired after 51 years’ service to the University in May 2011. Throughout his distinguished career, Flynn made pioneering contributions to condensed matter physics, deftly combining deep theoretical understanding with superb experimental skills. In the 1960s, he utilized magnetic resonance for a fundamental study of the behavior and motion of defects and impurities in solids, an effort that culminated in his book, Point Defects, an Introduction to the Properties of Imperfect Crystals. It remains the definitive source for this field. Flynn’s later research focused on the magnetic and electrical responses of defects, and he then expanded his interests to surfaces and films, in addition to bulk specimens. Flynn pioneered the molecular beam epitaxy (MBE) method of growing metallic superlattices and is largely responsible for the creation of the Epi-Center MBE facility in the MRL. He was heavily involved with the acquisition, installation, and commissioning of a low energy electron microscope (LEEM), the first LEEM owned by a university research facility in the United States. An extensive program on the structure and properties of magnetic/non-magnetic superlattices evolved from this work, including the elucidation of the structure and magnetic behavior of rare earth metals grown as single-crystal thin films by MBE. An avid and talented sports enthusiast, Flynn was a high jumper and played tennis, squash, and soccer in England and continued tennis and squash with colleagues at Illinois. He developed a great passion for hiking in the American West, particularly in the Sierra Nevada mountains. In later years, he took up golf, combining his love of sports and the outdoors. Flynn was also an enthusiastic carpenter and home-improver, and he was hard at work planning and building a conservatory at his death.